Chris Hawkey, the self-described luckiest man in the world, was born and raised In Union City, a small town that rests on the state-line that separates Ohio from Indiana. He spent his youth competing in a wide variety of sports while dreaming of seeing the world through the windows of a tour bus. Having joined his first band at the age of 15, Chris began his pursuit of "the dream" while still in high school, playing "every bar and city festival within a 100 mile radius." Radio-wise, Hawkey’s big break came late in 2001 when he was hired to co-host and produce the Powertrip Morning Show on sports giant KFAN Radio. During its 15 year run, the morning show has become the number one rated morning radio program in the Twin Cities and is now syndicated to multiple cities across the upper midwest on the Fan Radio Network. Hawkey also produces the radio broadcast of Minnesota Vikings NFL football games for the Vikings Radio Network and is a regular contributor to the VIkings Entertainment Network. Music-wise, the big break came in the form of a phone call from an old friend in 2010. That phone call led to a run of hits and national acclaim as a member of the group Rocket Club. Hawkey was given the opportunity to sing on three songs that would spend time on the Billboard National Country charts. Those hits, and four full albums of other fantastic songs, would be heard by thousands of fans on stages all over the country as Rocket Club played concerts with some of the country music world’s biggest stars. In 2014, Chris launched the next phase of his career with the release of his first solo country record. Filled with high-quality songs produced in Nashville and written by some of the world’s best songwriters, the 8 song self-titled collection would find a highly receptive audience and radio traction with the hit single "My Kinda Crazy." 2015 saw the release of the CD "Country Underneath", a powerhouse compilation of songs that would yield three radio hits including the nationally charting single "Favorite Song." 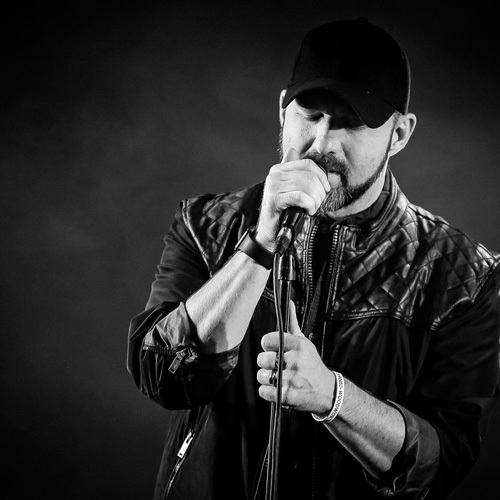 The run of shows supporting this second solo country release would last for 18 months and see the Chris Hawkey Band play to record crowds all over the United States as both headliner and direct support for Country Music Superstars. On October 1 2016, Chris Hawkey released the single "Good Liar", a fantastic song written by country-music legend Brett James that found immediate radio airplay. The song was the first release from the forthcoming album "Shine", which will be released in late 2016. "I named the record 'Shine' after seeing a photo of our appearance at the Ramble Jam Country Music Festival in late 2016," Hawkey said. "The photo, taken by Kelly Kamish of Kix Photography, showed a perfect moment in time. The sun was going down, the crowd was singing, and the smile on my face was like a window into my soul. I couldn’t tell what was shining more brightly, the sun or my smile. Those moments are examples of pure joy. Moments when I feel perfectly content. Moments when I can feel Love Shining at me from every directions. And I am doing my best to shine it right back. That’s the feeling I think we captured on this record."